TriMet’s next MAX project will improve the rail crossing at the intersection of E 181st Avenue and E Burnside Street. The tracks have settled leading to a bumpy ride for both MAX passengers and autos going through the crossing. 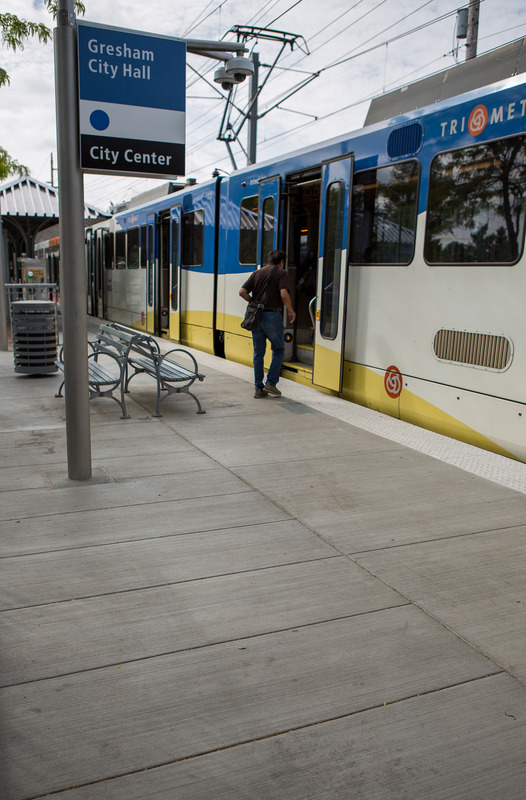 MAX service will be disrupted Friday night, Aug. 17 through Saturday, Aug. 18, as crews lift and repair the trackbed under the eastbound rails that cross 181st Avenue. Crews will also replace a switch machine near the Ruby Junction/E 197th Ave MAX Station at the same time. We recently performed the same type of switch upgrade on our MAX Red Line. Unlike some other projects such as our Providence Park MAX Improvements last May, this work will have much less impact on service. 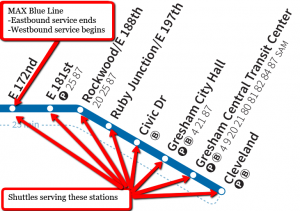 While the work is being done, the MAX Blue Line will be disrupted between the E 172nd Station and the Cleveland Ave Station. 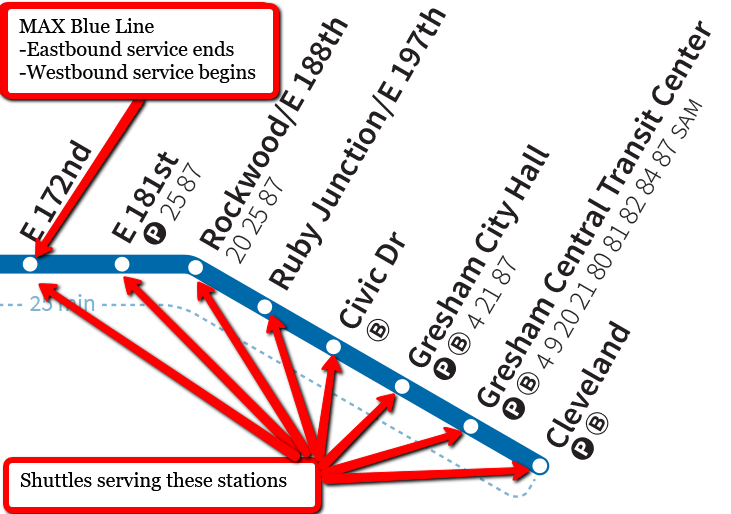 Riders traveling both directions will use the eastbound platform at the E 172nd Station. Plan an extra 15 minutes for trips. 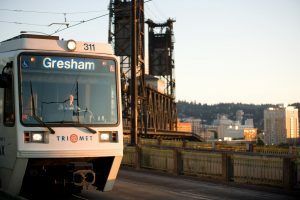 Be sure to check trimet.org/alerts before traveling. Trains will resume regular service through the area at the start of service Sunday morning, August 19. For information and help around the disruption contact TriMet’s Rider Support team seven days a week between 7:30 a.m. and 5:30 p.m. Call 503-238-RIDE (7433), go online to trimet.org/contact or reach out to @trimethelp on Twitter. While we’re working to improve the tracks, traffic on both E Burnside Street and E 181st Avenue will be reduced to one lane in each direction. Left turns will be prohibited. TriMet is committed to making transit better. We are working to improve the overall rider experience. Ongoing upgrades to vehicles, stations and tracks like those at the E 181st Ave crossing are helping to improve reliability and make the ride more comfortable. We’re also adding more service on existing bus lines for less waiting at stops and less crowding on board, and adding new service for connections to jobs, school and other community services.